There’s a mystery at the heart of biology: What makes organisms alive? 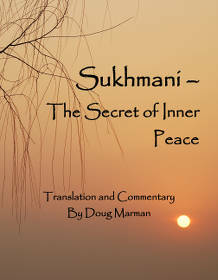 This book takes us on a spiritual quest to clearly understand life. Catalysts are keys to solving this puzzle. The new insights gained are transformative. Seeing the way life works—the way if FLOWS—changes what it means to be alive. There is an enigma at the heart of biology. Scientists are baffled by the mystery of what it is that makes organisms alive. Even simple single-celled creatures seek food and run away from threats in self-directed ways that amaze scientists. This book takes us on a spiritual quest for a clear understanding of how life works. Solving this puzzle offers deep insights for both physical and spiritual growth. Seeing the way life works, the way it flows, changes what it means to be alive. Do you know how to ask life? Do you know how to listen to life’s answers? In part I, I wrote about how the I Ching and Lenses of Perception see the influence of relationships on the outer world—our physical universe. But before we explore the inner side of this story, there are a few things worth mentioning. For over a hundred years, the bizarre mysteries of quantum mechanics have puzzled physicists. Most have given up trying to explain the strange behavior of subatomic particles. Scientists haven’t been able to find an intuitive answer. As a result, the quantum revolution is incomplete, as I said in another article, because we haven’t gained any wisdom in our lives from this great discovery. This didn’t occur to me until after I finished Lenses of Perception. As the first copies began shipping, memories of an ancient book, the I Ching, unexpectedly came to mind. All at once I had the oddest idea: The I Ching and Lenses of Perception are both describing the same thing. What a strange thought. Could this be right? I began flipping through pages of the I Ching — The Book of Changes. The more I read, the more I saw the connection between these two books. But, how can this be? Something extraordinary takes place when discovering new insights into life through deep discussions with friends. Time seems to stand still as new perspectives suddenly open up before us. In such moments we sense the scope of truth so fully, as a whole, that it alters our experience, giving us the feeling we are touching life, itself. This is what Spiritual Dialogues is about.